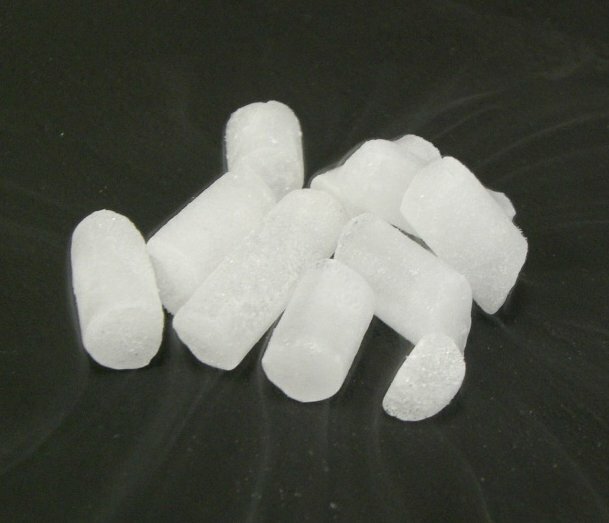 Is Carbon Dioxide (CO2) Polar Or Nonpolar? Maybe you’ve heard that water is a polar molecule, yet what about carbon dioxide? Is it polar or nonpolar? 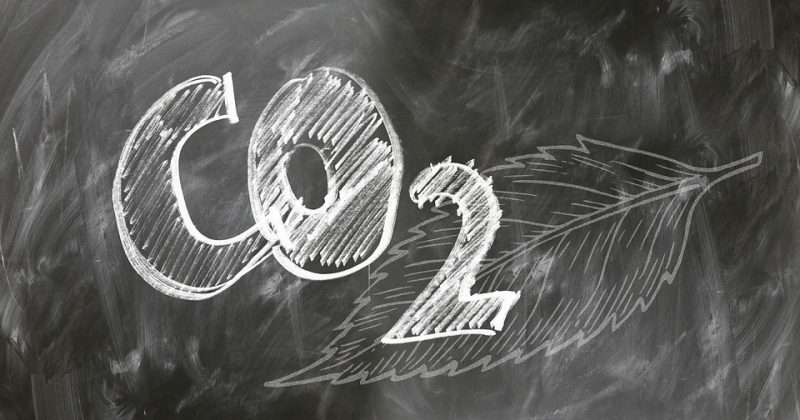 Carbon dioxide is considered a nonpolar molecule because it has a symmetrical structure, with the two atoms of oxygen found in it altering carbon’s electron density the exact same way. That’s the short answer regarding carbon dioxide’s non-polarity. However, it would be good to contextualize carbon dioxide’s non-polar attributes with other polar molecules and to go into detail about how a molecule’s polarity is decided. Polar molecules are molecules that have regions/areas of both positive and negative charge. They have “poles”, just like the opposite poles on the Earth, or like the positive and negative ends of a battery. So if there are positive and negative regions of the molecule, the molecule is said to be polar – to have polarity. One of the most famous examples of polar molecules is water. Water has a bent structure to it and the two hydrogen atoms that are attached to the oxygen atom have a slight positive charge. Meanwhile, the other end of the atom – the oxygen molecule – has a slight negative charge, and these two charges give water its polarity. As you may be able to guess, molecules that don’t have distinct positive regions and negative regions are just said to be “nonpolar”. An example of a nonpolar molecule is ethane – chemical formula C2H6. Ethane is a nonpolar molecule for two different reasons. The molecule’s symmetrical structure helps the molecule maintain a uniform spread of electronegativity, so there’s no difference in the amount of electronegativity between the two atoms of carbon and very little difference in electronegativity between the Hydrogen atoms and the carbon atoms. While the symmetrical nature of ethane doesn’t guarantee it will be nonpolar, it does help to keep regions free of any notable charge. Most alkalines will share a similar structure, and this is one of the reasons that alkaline elements are usually said to be nonpolar. In chemistry there is a concept that “like dissolves like”, meaning that the solubility of a molecule is greater when it is in a similar substance. Nonpolar chemicals dissolve more easily when combined together and this also holds true for polar chemicals. How Do Regions Become Positive And Negative? A molecule’s polarity happens as a result of the shifting of electrons. Electrons will move in a particular direction, affecting the positive/negative balance in a region of the molecule. How these electrons move is dependant upon the bonds that are found between molecules, as the bonds also contain electrons and can have polarity. If both atoms that form a bond are different, then the bond between atoms is classified as polar. Two different atoms forming a bond means that the nuclei of the atoms have different capabilities to attract the electrons in the bond and the position of the electrons will shift. Bonds that have the same types of atoms comprising them are nonpolar and don’t allow the electrons within the bond to shift, because the nuclei of both atoms will cling tightly to the electrons that they have. All of this means that the atom with the greater ability to pull electrons towards itself will become slightly more negative due to the greater number of electrons around it. This creates a negative region and a positive region and makes the bond polar in nature. Another way of thinking about this is that the electrons which are part of a polar bond will congregate towards one end of the bond or another. This means that one of the bond will have a slight positive charge while the other end of the bond will have a charge that is slightly negative in nature. Why Isn’t Carbon Dioxide Polar? One notable aspect of polar/nonpolar bonds is that the greater the electronegative difference between the two atoms the more the bond between the two molecules will be polar. For instance, carbons within carbonyl groups have a slight positive charge which makes the carbonyl compounds have a positive region. Given these aspects of the nonpolar/polar relationship with electron bonds, why doesn’t carbon dioxide, which has two partially negative oxygen atoms, have a polar nature? All the bonds within a molecule have to be considered when determining the polarity of a molecule. 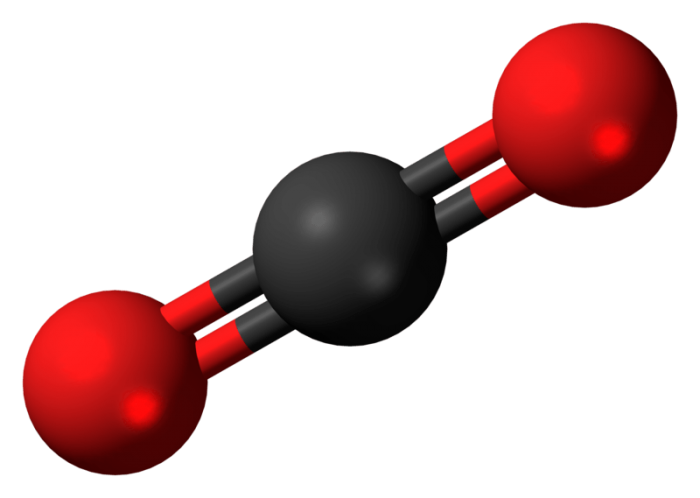 Looking at the net effect of the bonds within carbon dioxide will reveal why the molecule is a nonpolar molecule. As becomes apparent when looking at a diagram of carbon dioxide, the carbon atom in the middle has two bonds with oxygen, each of these bonds a double bond. Since it is true that oxygen has a greater electronegative strength than carbon, one would think that the bonds between oxygen and carbon would see the electrons being pulled toward the oxygen and have the molecule become polar. However, due to the structure of the molecule, it maintains a nonpolar state. The molecule is structured so that both of the double bonds are in a linear arrangement with the carbon molecule, at a 180-degree angle to the carbon atom in the center. This linear structure creates a situation where even as one of the oxygen atoms attempts to pull electrons from the carbon atom, the other oxygen atom pulls on the carbon’s electrons with equivalent force. These forces nullify one another and the result is that the although both oxygen atoms are pulling on electrons, none of the electrons in the molecule actually shift positions at all. This means there’s no region of the molecule that becomes overly negative or positive and as a result, the molecule is nonpolar. Previous Post« Previous The Holy Grail Of Placebo Research: A Single Gene – Or Many – In Control ?